Orders shipped to U.S. addresses (including APO and FPO addresses) are normally shipped via the U.S.P.S. 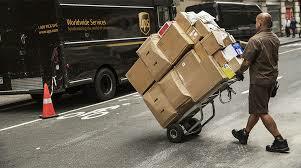 Delivery time averages 10-12 postal working days from when your order is delivered to the Post Office. Orders to Hawaii, Alaska, and APO/FPO addresses are always shipped Priority Mail. Due to customer concerns about ground shipments to these locations taking "too long," we do not use Standard Mail, Media Mail, or Book Rate for shipments to Alaska or Hawaii. Your charge will be adjusted to reflect this form of shipping. Please. Please see below for APO/FPO (military) shipping. Shipments via USPS "Priority Mail" average 3-4 postal working days from when your order is delivered to the the Post Office. If you prefer your order shipped via UPS or FedEx, please call our customer service at 509-843-5009. Note: UPS and FedEx ground residential charges will be higher than USPS Media Mail charges plus there will be an additional small surcharge. Our Standard Shipping charge for books and other educational materials is 10% of your order with a $5.00 minimum. (See below for non-book items.) This is for shipment via USPS "Media Mail." We are able to mail one (1) or two (2) Student Record Books in a Flat Rate Priority Mail envelope for $7.25. For the majority of the remainder of our products, Priority Shipping charges are a maximum of 20% of your order with a $13.60 minimum. If you purchase high-cost, low-weight items, we do our best to adjust your shipping charge to reflect a charge closer to actual shipping fees charged by the Postal Service. For a more precise quote on priority shipping, please call our office at 509-843-5009. Orders shipped to families with a parent actively serving in or retired from the U.S. Armed Forces (Navy, Army, Air Force, Marines, or Coast Guard) receive free shipping on all orders. This includes shopping cart orders as well as orders placed through the mail or by phone. Orders shipped to an address within the Continental U.S. will be shipped for free via USPS Media Mail. Orders to Hawaii, Alaska, and APO/FPO addresses will ship via USPS Priority Mail at no cost. To receive the Free Shipping, simply let us know that you qualify with a note in the Comments section at the end of the checkout process. Tell us on phone orders and let us know on mailed orders. Our family Thanks You for your service! Because our shopping cart software is fairly simple, your on-line receipt will not show the Free Shipping on military orders. However, once we have received your order, we run the charge by hand and will not charge you for the shipping. Please let us know in the "comments" section of the checkout form that you qualify for the Free Military Shipping and we will be happy to not charge your shipping when we process your order. Tea and gift items do not qualify to be mailed at Media Mail rates. These items will have this shipping notice on their web page, "This is a non-book item and shipping may be more than the amount quoted at check-out. If it is, we will charge the lesser of UPS shipping, USPS Parcel Post, or USPS Priority Mail shipping at our discretion." Your e-mail shipping confirmation will let you know which shipping method we have selected. Please note that in 2007, the Post Office ended surface, ground, or sea shipping to addresses outside of the United States. What used to be ground/sea shipping is now called "International First Class" and Air Mail shipping is now called Priority Mail. Orders that are shipped outside of the United States are charged actual shipping plus a $2.00 per order handling fee. Each order is packaged and weighed to get you the best possible rate. Spelling Power is published by Castlemoyle Books. You may contact us at 509-843-5009.